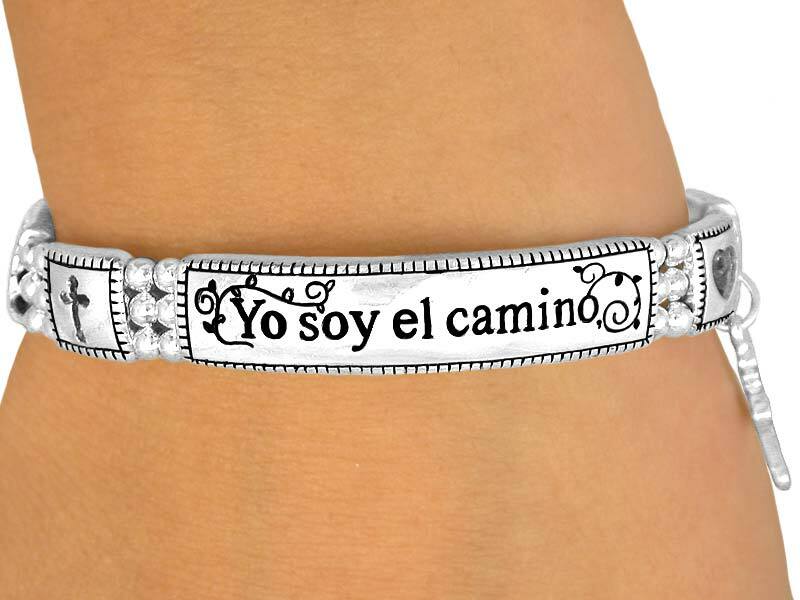 SPANISH "YO SOY EL CAMINO"
Lead Free Nickel Free Polished Silver Finish Stretch Bracelet Is Decorated With Three Tiles That Read, "Yo Soy El Camino, La Verdad, Y La Vida." 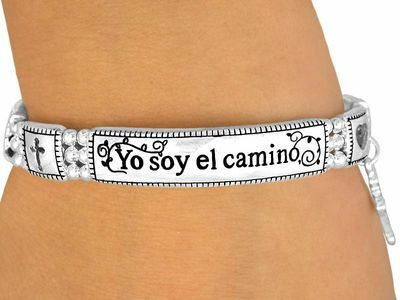 Translation: "I Am The Way, The Truth, And The Life." 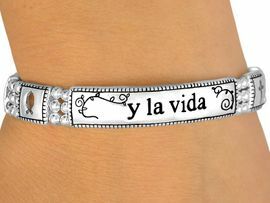 Between Each Scripture Tile Is A Smaller, Square Tile With A Cut-Out Of A Heart, Fish, Or Cross. 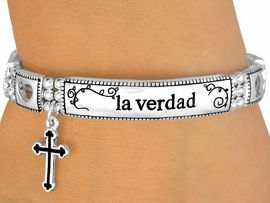 Between The First And Last Tiles Hangs A Unique Silver Tone Cross Charm.